Bonterra Ibérica S.L. was founded in 1994 and became a pioneer and leader in Spain in the manufacture of organic blankets for their use in erosion control. Due to the experience acquired in all these years, which is the result of our work and the increasing demand from our customers, our portfolio of products has become larger. Today, we can provide a wide variety of environmental solutions with a clear objective: “to provide the best solution in each case”. Bonterra Ibérica S.L. has an R & D & I Department with more than 25 years of experience in testing and manufacturing new products, as techniques to perform erosion control and environmental restoration, what makes us pioneers and market leaders. A clear example of the company’s working way is “Campotéjar Zero Erosion”, which is not the ultimate aim for us, but the beginning of several pioneer and demonstrative projects showing innovation, effort, excellence, social responsibility and sustainable development. At present, Bonterra Ibérica S.L. is a member and collaborates with the main professional associations linked to activities related to landscape restoration, preservation of the environment, soil conservation, etc. 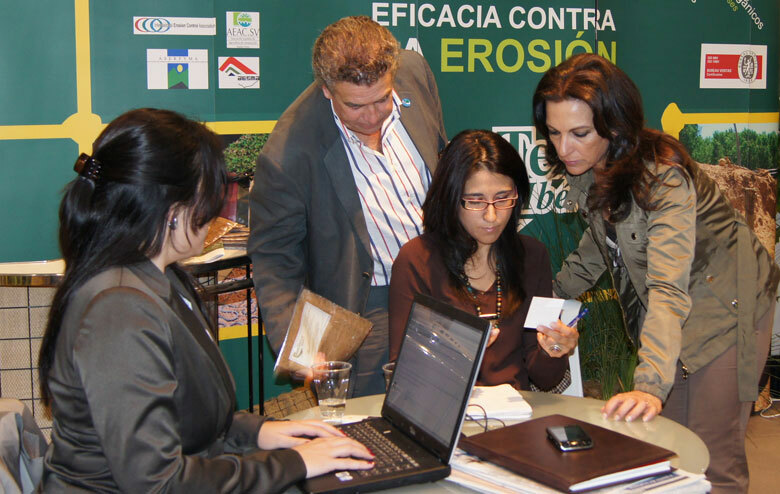 Some examples of these associations are: AEAC.SV (Spanish Association of Living Soils Agriculture), AEIP (Spanish Association of Landscape Engineering), ASERPYMA (Landscape and Environment Restorer Companies Association), IECA (International Erosion Control Association), CIREF (Iberian Center for River Restoration), etc. Our progress is a never-ending journey of continuous effort in finding the best innovative and efficient solutions against erosion: “Erosion 0”. Our main purpose is generating life, maintaining soil, which is a natural and vitally important asset. We assess customers bringing excellence and continuous improvement in service. We believe in a sustainable world, so when we act on the natural environment we diminish to the utmost our negative environmental impact. 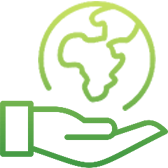 We are a company which is socially responsible with its employees, the environment and society. Strong commitment in the prevention of health harm and deterioration by promoting a culture of prevention. Our aim is to attain the total absence of accidents in a professional and motivating working environment. We promote equality of opportunities and respect to human rights. Transparency and uprightness in all our collaborations and actions are our hallmark. Focus on continuous improvement, as the result of our commitment to excellence. To the most environmentally friendly product: Esparto Organic Blanket..
Made from natural fibres, it uses a forest resource for the benefit of the environment..
Products and know-how at the service of landscape bioengineering: environmental solutions for the world. The only manufacturer of organic blankets and biorollos in Spanish-speaking countries. With factory in the province of Granada (Spain), from where we export to our international distributors. BONTERRA IBÉRICA has benefited from the European Regional Development Fund whose objective is to improve the competitiveness of SMEs and thanks to which it has launched an Internationalisation Plan with the aim of improving its competitive position abroad during 2017. To this end, it has had the support of the XPANDE Programme of the Granada Chamber of Commerce.